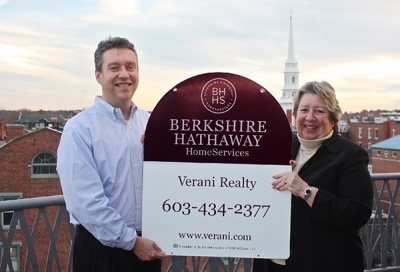 We’re proud to announce that this month, Business NH Magazine ranked Verani Realty among the top 20 fastest growing family businesses in the state! Every August, Business NH highlights the central role that family-owned businesses play in New Hampshire’s economy. Verani came in at #17, with a 3-year growth rate of over 18%. This year marks Verani’s 50th anniversary, making the achievement particularly meaningful. In 1967, Osvaldo “Ozzie” Verani founded the company with a focus on mutual respect, trust, customer service and quality. Today his children, Giovanni Verani (President) and Margherita Verani (CEO), are the primary owners and have a team of nearly 500 agents that work in New Hampshire, Massachusetts, Maine and Vermont. For the full list of top family businesses in New Hampshire, see Business NH magazine’s August 2017 issue.